The DANA-M1 CZ includes a new, high-performance fire control system (FCS) that boosts the combat efficiency of the system and at the same time simplifies its operation. The newly developed solution of the FCS is based upon the use of state-of-the-art technologies allowing the DANA-M1 CZ to be integrated into the C4I system. The FCS now enables e.g. 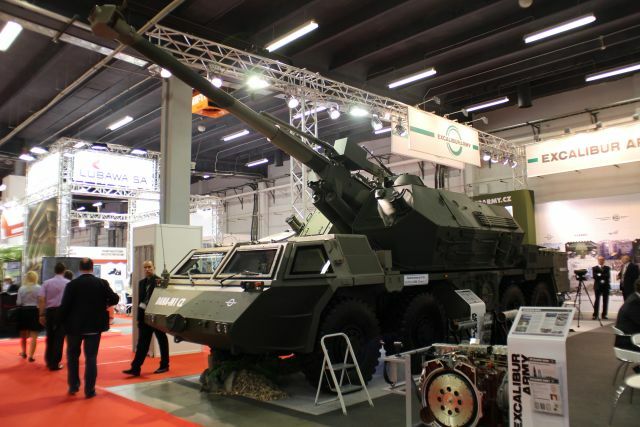 maximum weapon autonomy, increased fire accuracy, increased battlefield effectiveness and short time needed to engage target from an unprepared firing position. The inertial topographical navigation unit is mechanically linked to the barrel axis. This allows complicated and time consuming topographical orientation of the gun to be skipped. The inertial topographical navigation unit continuously transfers the current data on the system position and traverse and elevation angles to the ballistic computer.